In 2017, Gifted Travel Network member, Kara Robinson of Elite Travel Designs, was appointed to Carnival Cruise Line’s Travel Partner Advisory Committee. 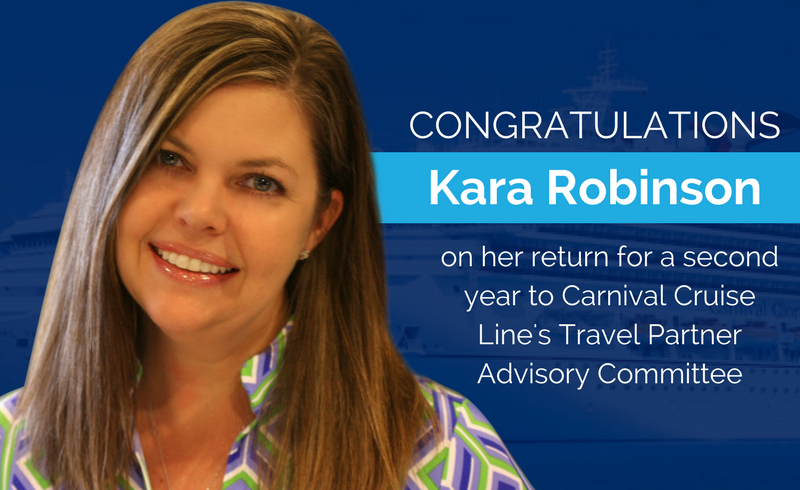 Congratulations to Kara for returning for a second year to continue her advisory role on Carnival’s 2018 Travel Partner Advisory Committee. MIAMI (February 21, 2018) — Carnival Cruise Line has appointed three new members to its 32-member Travel Partner Advisory Committee (TPAC) for 2018. Each year, the line invites select travel partners, spanning an array of agency models, to participate in the committee, offering guidance related to various trade programs, tools and initiatives introduced by Carnival. This year, 29 of the committee members have returned to continue their advisory role for ongoing trade programs. Click here to read the full press release and list of Carnival’s 2018 Travel Partner Advisory Committee members. Ready to live the laptop lifestyle?